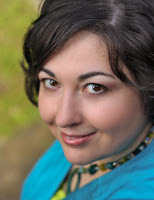 I'd like to welcome Stephanie Dray, author of the new historical fiction book called LILY OF THE NILE to Book Club Exchange. Yesterday, I reviewed this novel and I mentioned that it was an excellent book for book clubs -- you can read my review here. I thoroughly enjoyed this story about Princess Selene, Cleopatra's daughter; and I'm pretty sure that fans of historical fiction are going to agree. Ms. Dray has written a very interesting guest post for Booking Mama that will give you some insight into her debut novel as well as some of the reasons why it's ideal for book groups. I am not exaggerating when I tell you that the reading guide for LILY OF THE NILE is the best I've ever seen, and I was especially interested to learn that it was written by the author. Trust me when I tell you that LILY OF THE NILE is a must-read for book clubs. And if you don't believe me, then check out this unique document that Ms. Dray prepared called An Evening with the Ancients. I swear this will convince you. This brochure helps you "plan a memorable evening of food, fun, and fascinating discussion." I just love the food and beverage ideas as well as the history behind them! Most authors are excited about their covers. Others get sniffly at seeing their name in print. Me? I did a tap dance when I learned that the entire reader’s guide that I’d created made it into the back of my debut novel. Lily of the Nile is the story of Cleopatra’s daughter, a young princess of Egypt who was captured by the Romans when her famous parents committed suicide. She was only eleven years old when her captors marched her through the streets in chains and Rome’s first emperor spared her life, presumably in the hopes that she might one day be useful to him. 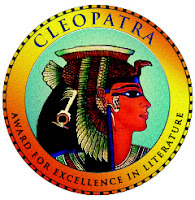 As it turns out, Cleopatra Selene was extremely useful to Augustus. She would survive the intrigues of his court to become the most powerful client queen in his empire, a vital part of the grain supply that would fuel his regime. But before that, she had to win his trust and survive the intrigues of his political world. That’s the story I tell in Lily of the Nile, which will be followed by its sequel later this year, Song of the Nile. Selene is an important historical figure for two reasons. First, because she was the last Ptolemaic Queen. Second, because she may have played a part in the spread of Isis worship and the spiritual transition between public religion and our more modern notions of private faith. But I think Lily of the Nile is a discussable book because Selene’s life is a lesson to us that the trajectory of women’s equality hasn’t always been a forward march. In some ways the ancients were more advanced than we are today; there have been setbacks before and may be more in the future. In a world where male-centric religions dominate and women still struggle for equality or even simple human rights, it’s important to reflect upon our shared history and the women who populated that history. What we know of Selene’s reign is that she never forgot her mother; she never forgot Egypt or her birthright. And she never forgot her goddess or her personal sense of power as a woman. These things are important to talk about, especially during hard economic times when young women are afraid about their futures. Of course, first and foremost, Lily of the Nile is a novel, not a history lesson. It’s meant to transport the reader to another time and place. To entertain, amuse, and move you. I hope readers will be as touched by Selene’s story as I was. I am so grateful to Ms. Dray for writing this wonderful guest post. If you are interested in participating in a future Book Club Exchange, please contact me at bookingmama(at)gmail(dot)com. The book sounds wonderful and that reading guide is amazing! Thanks for introducing Stephanie to us and thank you Stephanie for taking the time to tell us about you book. I can't wait to get a chance to read it, it sounds fantastic.